If you are thinking of right now Solitaire or Tetris remake the thousandth, you could not be more wrong. Meanwhile, there are a variety of role-playing browser games you can play online with ease. One such role-play browser games, for example, Monsters Army. 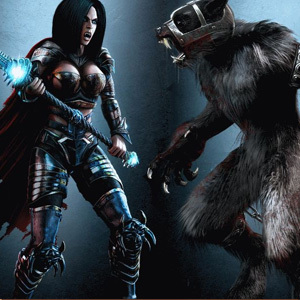 In Monsters Army is a werewolf online game. So it’s one of Role Play, which deals with the good old battle between vampires and werewolves. Here you play in the Middle Ages either a werewolf or a vampire game. The goal is to build an infrastructure and the conquest of new territories. At the beginning of the game you have to decide for one side and to register for the browser game. Are you interested in more of a werewolf online game, you choose the option werewolf. Would you like to be on the side of the vampires, you choose here simply vampire game. Are you with the registration process once completed, you will receive a password to the specified email account with which you can play directly online. If you have you have not even discussed the topic of role playing, do not worry. After your first login, the browser game you will be first taken to a tutorial, where you, as one is accustomed to computer games, the first steps in small and simple tasks are explained. Basically, the navigation works within the game about three menus. In the first menu, the main menu you’ll see, first, all menu items to edit your profile and sending and receiving messages are needed. Second, you can move from here to reach the world map on which you can let you view the position of your troops and settlements and get overview of your raw material inventory. The raw materials that you need are in the game for interactions and gold contracts and people. The second menu is the so-called building menu. As the name suggests, you’ll find here the Navgation the construction of buildings and gold mines. Here you can find out also about how many people and gold you’ll need for further extensions. Since gold is the main raw material, you have to you in any case, first of all create a gold mine before you plan further construction. After the first gold has arrived, you should next on the construction of a training ground for your troops think. In this school you can now train the troops to leave your planned invasion. The third menu is the research menu. This menu can be used only after the construction of a university. Have you ever built a university, you can invest your gold in research contracts, for example to equip your troops with better weapons or build larger buildings can. Using these three clear menus you can now act individually in the entire play area. Finally they came to say that the game does not only have a nice look, very well conveys the desired mood of the Middle Ages. But also by ease of use, which should also convince people to actually play any online games.